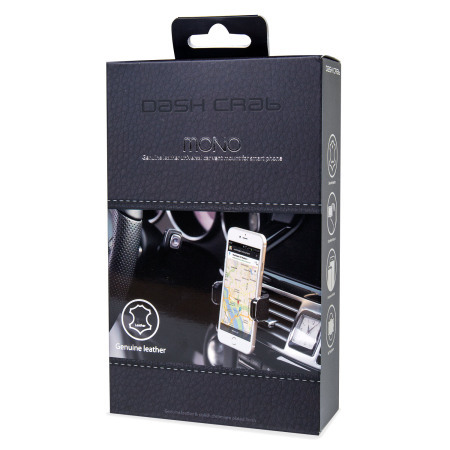 The Dash Crab Mono can hold the majority of smartphones on the market today, keeping them safe, secure and visible while you drive. 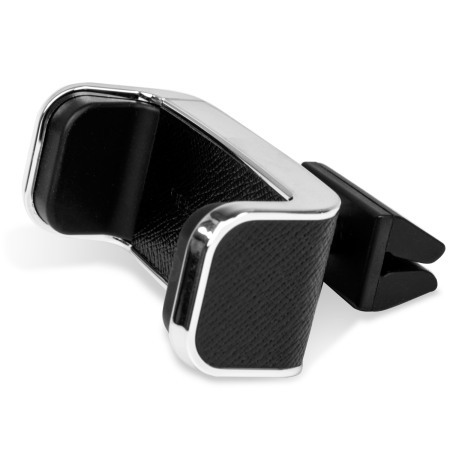 The Mono comes in a stylish Italian saffiano & calf skin leather, which allows it to blend into any environment perfectly. 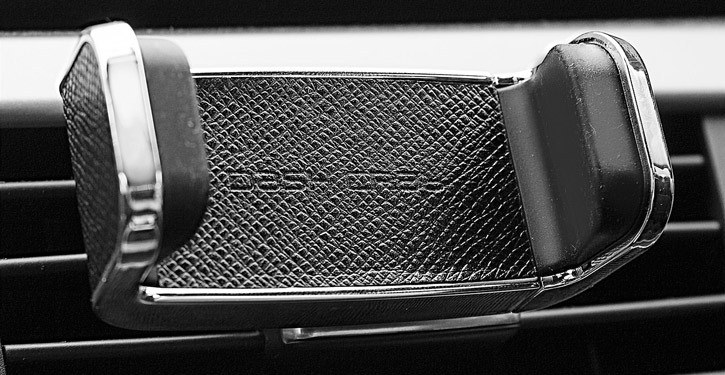 Fits in vents securely and very adjustable in my 3series BMW. 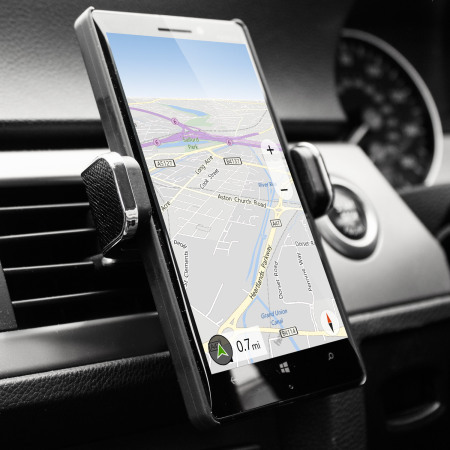 Actually holds my tomtom sat nav if required. 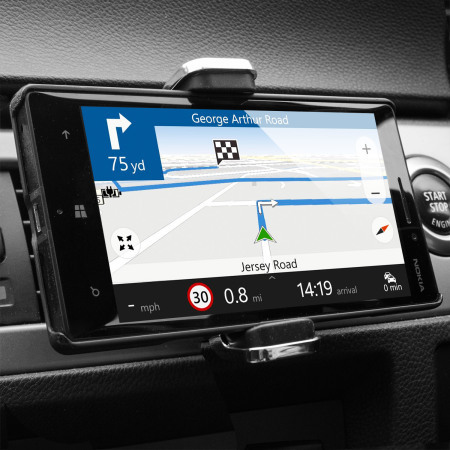 BMW sat nav as good as it is does not have speed camera alerts. 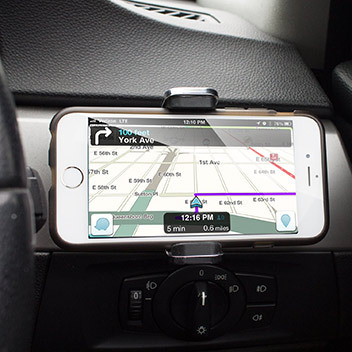 The Dash Crab Mono Premium Leather In-Car Vent Mount fits most smartphones, even the new larger devices such as the Note 4 and the iPhone 6 Plus. The Dash Crab Mono features a spring loaded stainless steel mechanism and elastomer grips, which allow the Dash Crab to securely fit all smartphones from a width of up to 88mm. 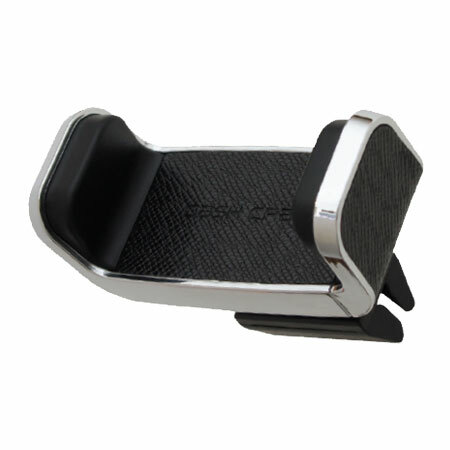 The Dash Crab also allows easy access for audio cables and power cords, so you can effortlessly listen to music and charge your phone while it's held at a comfortable viewing angle. 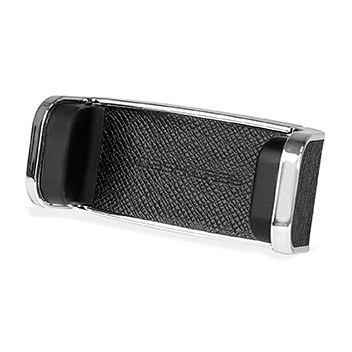 Made from genuine Italian Saffiano and Calf-skin leather, the Dash Crab Mono provides a top quality and premium feel that will fit with any car interior. 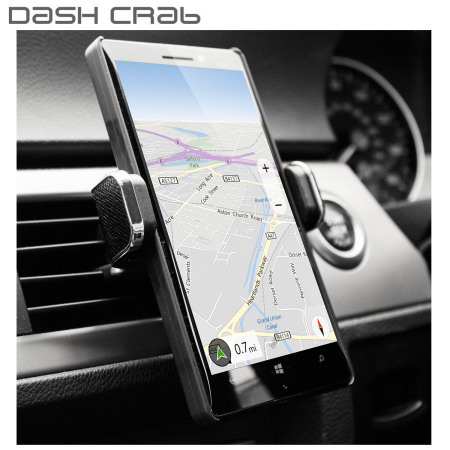 Once installed the Dash Crab Mono can be quickly re-positioned for a perfect viewing angle. Making it easy to switch between landscape and portrait orientations whenever required. 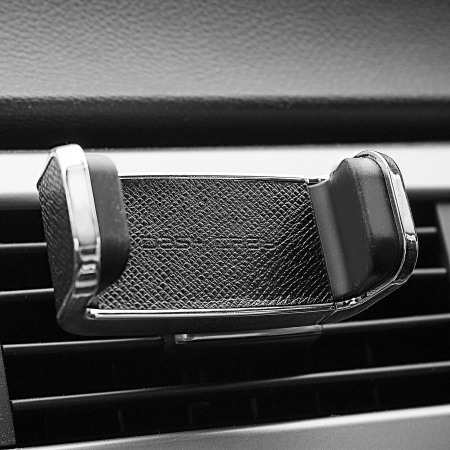 With the Dash Crab Mono features a rotating clip, it can mount to any type of car air vent - horizontal, vertical and angled. 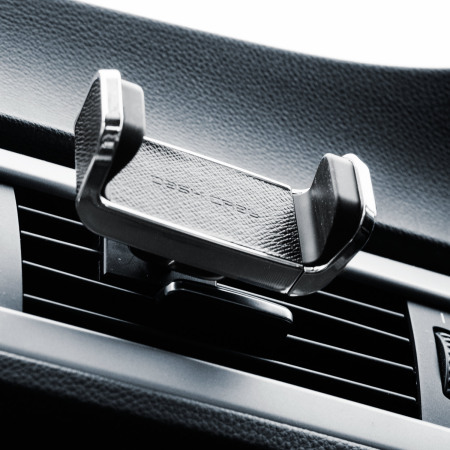 The Mono's simple, yet highly functional design works by slotting onto on of your vent blades, thus it does not require any suction cups, adhesives, magnets or special cases which can be tiresome to fit and cause damage to your car's interior. 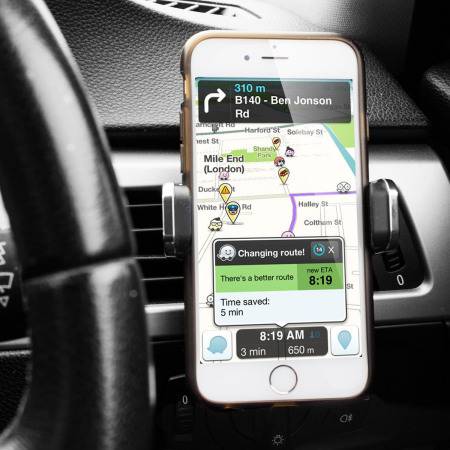 The Dash Crab Mono Premium Leather In-Car Vent Mount weighs very little and is small enough to fit in your pocket, making it perfect for everyday use as well as holidays and business trips. 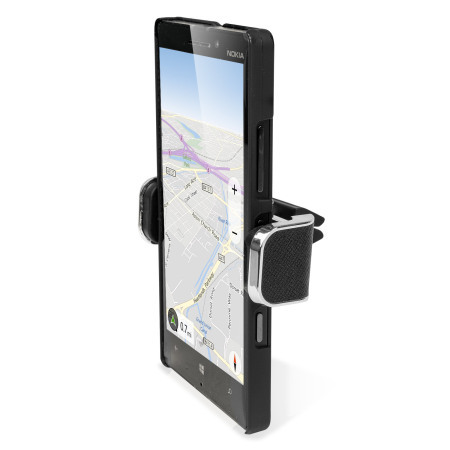 The Mono's spring loaded expandable jaw securely holds most smartphones. 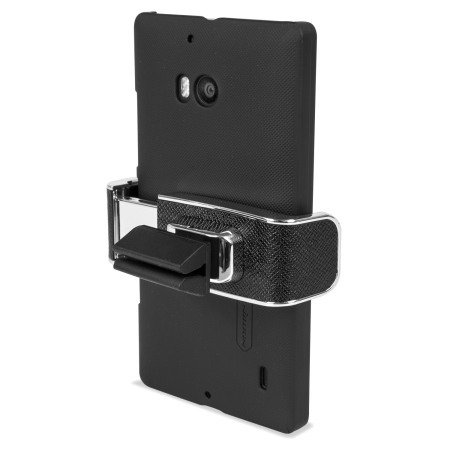 Please check your phone is no wider than 88mm - including any case you wish to use fitted to your phone in the holder. The vast majority of phones will not exceed this size so in most cases you should have problems. 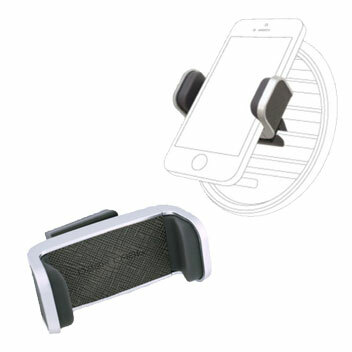 Insert any card from your wallet or purse into the rotating clip and the Dash Crab Mono transforms into a hands-free stand. 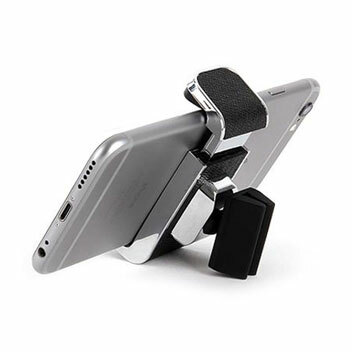 Ideal for use in both portrait and landscape formats, making it perfect for watching videos or playing games on flights and train journeys.